« Stress: Why It’s All In Your Mind. 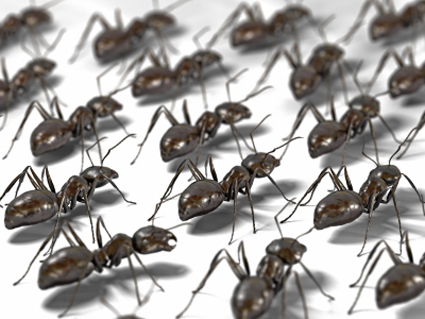 You Are Not An Ant: Why One Size Does Not Fit All. Today we ask you to understand that you are yourself, and no one else. In this world, people are always telling you who you ought to be. It begins in childhood, with parents and teachers. Later, it becomes friends, lovers, spouses, colleagues. People on television and the internet tell you who you ought to be, and what you ought to be doing with your life. And it is nice, truly, that people wish to help when they give advice. All these people mean well. The parents and teachers and self-help gurus. There is no question that they mean well. But a way of being that works for one person in all likelihood will not and cannot work for another. That is because every human being is unique. Everyone has a unique energy signature. So: for one person, a certain kind of diet is appropriate and good. But that same diet might make another person very sick. A certain style of clothing might look good on one person, and look terrible on another. A certain way of bringing up children might work very well for certain parents, and their children. But that way would not work at all for another type of parent, and that parent’s child. Some people have a knack with music, or languages. Others do not no matter how hard they try. What is terribly unfortunate in all of this is that very often, people will believe that they are broken or defective because another person’s way of being does not work for them. But it is really crazy to believe that “one size fits all” — whether in regard to clothing, or ideologies. One ideology most certainly does not, and cannot fit all. It is difficult, because humans are social animals, and they naturally take their cues from other humans. They cannot learn without teachers and models. And yet there is a teacher and model that is all too often ignored — and that is the self. The heart is a very accurate guide in terms of knowing what works for you, and what doesn’t. You can very often tell when you are forcing something that is not an energetic match for you because it feels constricting, or heart-crushing. You are all unique, and you are meant to be that way. If you were supposed to all be the same, you would be ants (and even ants are not all the same). The universe did not create you to mimic each other, but to resonate at your own individual frequency. The best way to find your frequency is to go into silent meditation. There, all the other clamoring voices are stilled, and you can connect with your own heart.